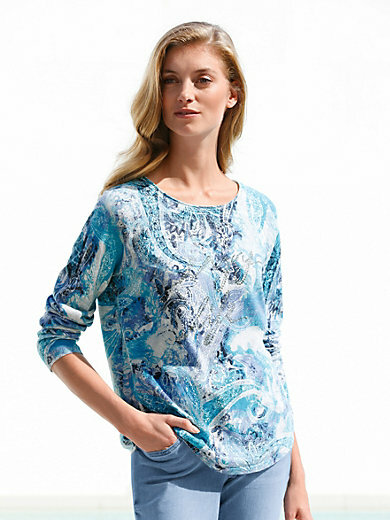 Crew neck pullover by BETTY BARCLAY. Superlative summer knit in pure natural quality. Feels great against your skin. Fascinating print in summer colours. Glitter logo on the front. 100% cotton. Rounded hem. Length approx. 25ins.The jumper should be washed by hand.